The New Hope Society (NHS) was originally created by ITrekNepal as a government-registered charitable organization based in Bhaktapur to help the families of our trekking guides and porters secure education opportunities for their children. Immediately after the April 25 earthquake we shifted our focus to emergency relief and rebuilding homes of our staff and many other affected families. 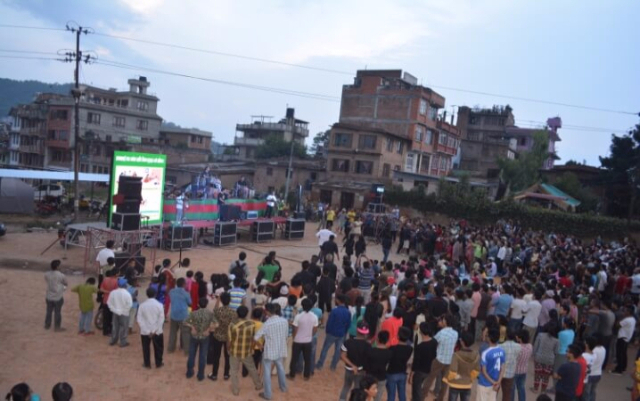 The New Hope Society earthquake relief programs were funded by two U.S.- based charitable organizations – the Bhaktapur Relief Project and Help Remote Nepal (HRN). The Bhakapur Relief Project was created and managed by Andrew and Nani Leonard, ITrekNepal international managers. Help Remote Nepal was created and managed by Rick Nooft, an ITrekNepal guest who remained in Nepal after his Everest trek to assist with the relief efforts. We are deeply grateful to everyone who contributed so generously to these charities. Together we raised approximately $80,000 from almost 400 donors in just 60 days. All donations went directly to the New Hope Society programs. The contributions of the ITrekNepal staff, families and friends were all on a volunteer basis. This report details the activities of our ITrekNepal team who managed the daily field operations of New Hope Society in these village relief efforts. 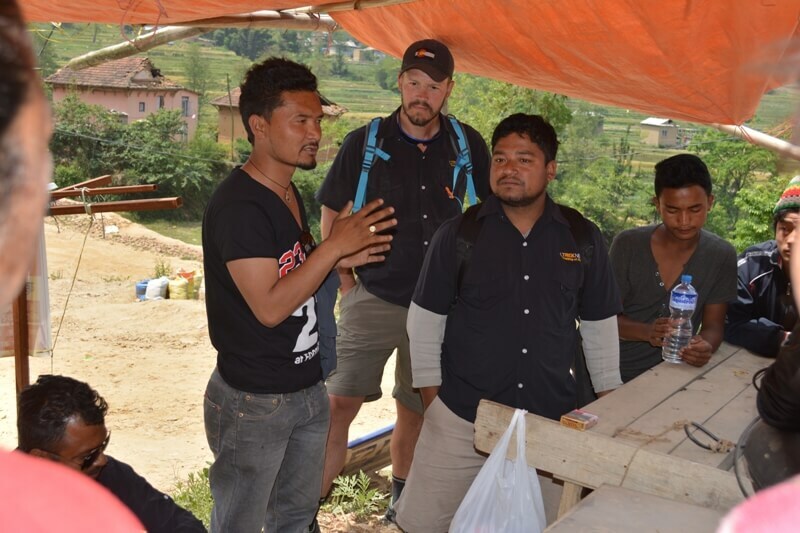 Most of our programs were focused in villages where the families of our staff, guides and porters live, and in other villages that were not being reached by government and other relief organizations. 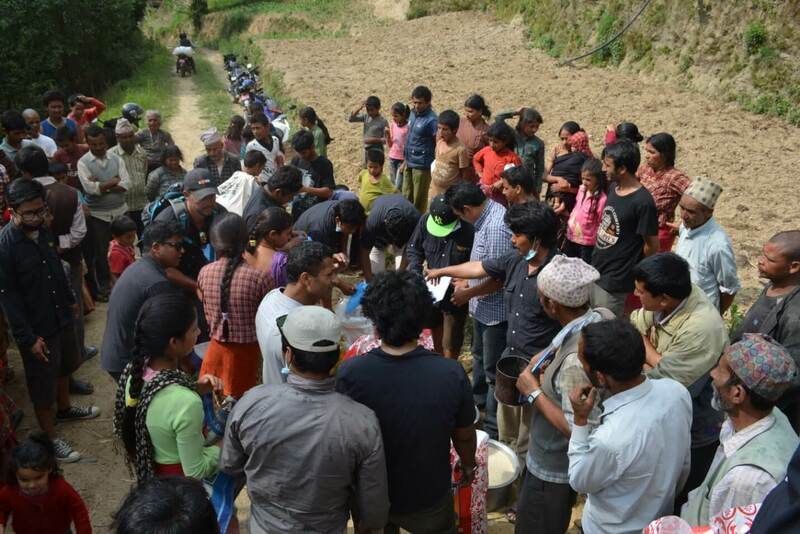 We distributed rice, lentils, salt, oil, tarps, tents, medical and sanitary supplies to these villages. We also provide cash for villagers to buy building supplies from local suppliers rather than transporting all of these items from the Kathmandu valley. This was the first village we helped after the quake. This area is located 4 km southeast of Bhaktapur and is along one of ITrekNepal’s regular hiking routes where the majority of inhabitants are Tamang. We provided rice, lentils, salt, oil and medical supplies to over 50 families. This village is 6km southwest of Bhaktapur. 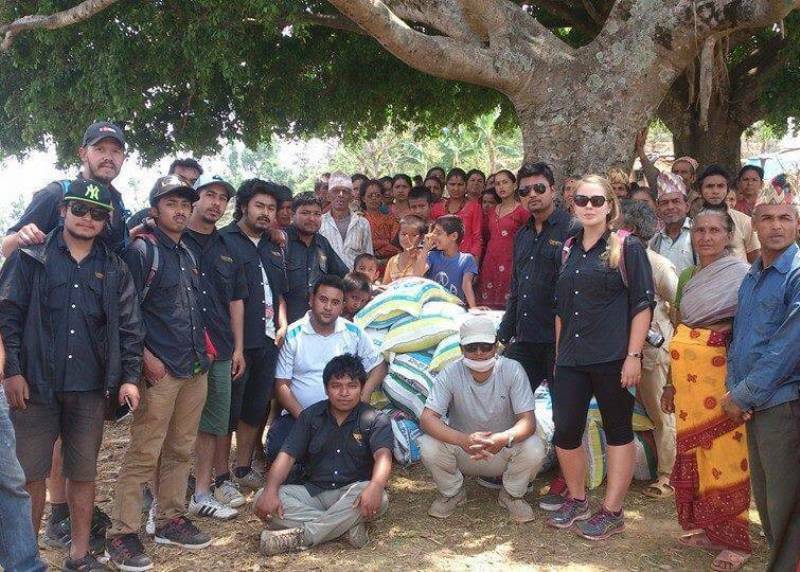 The ITrekNepal team and Rick Nooft distributed food, tarps, and medical supplies here. The interesting story in this village is that both the Maoist leader and the Nepal Army chief’s wife came here to help after we had distributed relief supplies. This was the most heavily damaged region in Nepal, and very difficult to reach because of road damage. The remote villages where we helped had been overlooked by the government and other charitable organizations. Our ITrekNepal team drove here on motor bikes on May 8th to set up the operation, and the next day Rick Nooft along with ITrekNepal guests Alison Berthet and Charlotte Hugman drove here with the truck delivering the relief supplies. Mr. Biju Gwayamaru, vice-president of NHS donating cheque to the widow of late Mr. Sankar Shrestha in Palanchok. Biju’s family had recently lost their family home in Bhaktapur, but he kept working tirelessly to help others affected by the quake. 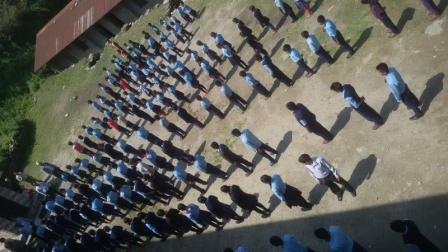 Dhunche village – Rasuwa district (Langtang region) – over 500 people including the families of four ITrekNepal guides. The New Hope Society team in Bhaktapur before driving towards Rasuwa/Dhunche in Langtang region for supplies distribution in ITrekNepal guide Santa Ghale’s village. 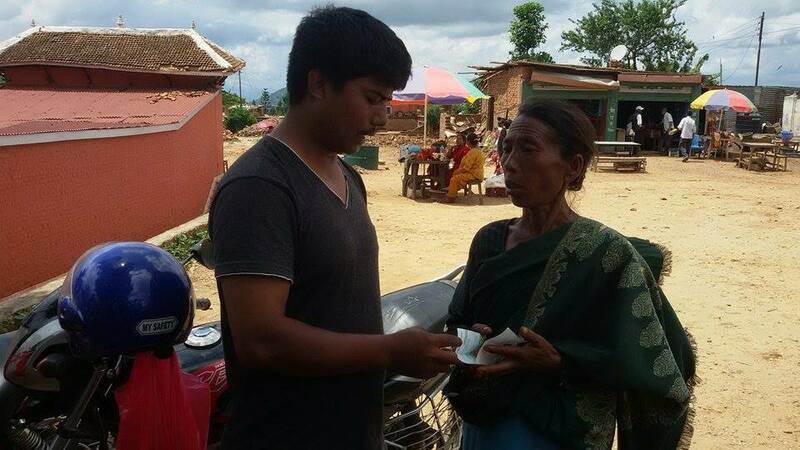 Mr. Parash Prajapati provided relief supplies and cash that we distributed in Nawalpur Aashelukharke in the Langtang region where we had already distributed sleeping bags, food and medical supplies. Dr. Nunzio Pagano, an ITrekNepal guest from the U.S. also helped us set up a day camp here. We have also donated cash to villagers to purchase other supplies from local merchants. The ITrekNepal team distributed earthquake relief tents and over 400 meters of tarps that were provided by the Help Remote Nepal charity. 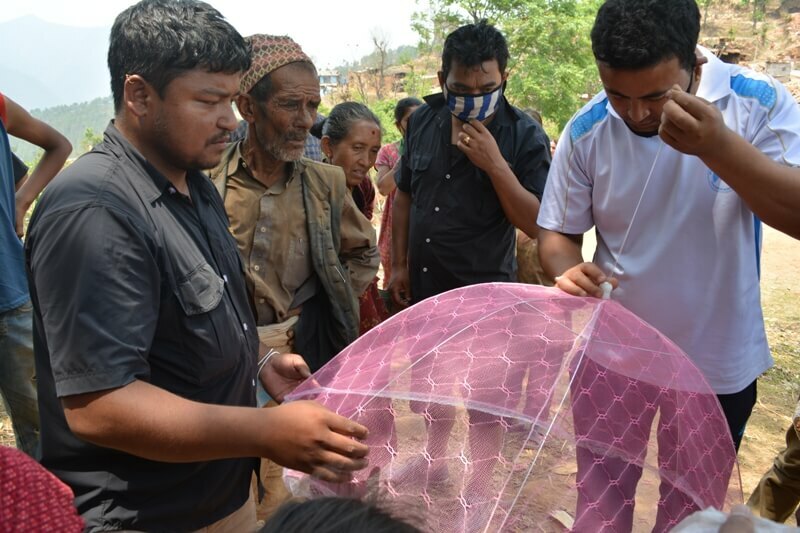 We distributed tents and medical supplies to the Bhaktapur Urban Health Center and Bhaktapur Municipality. 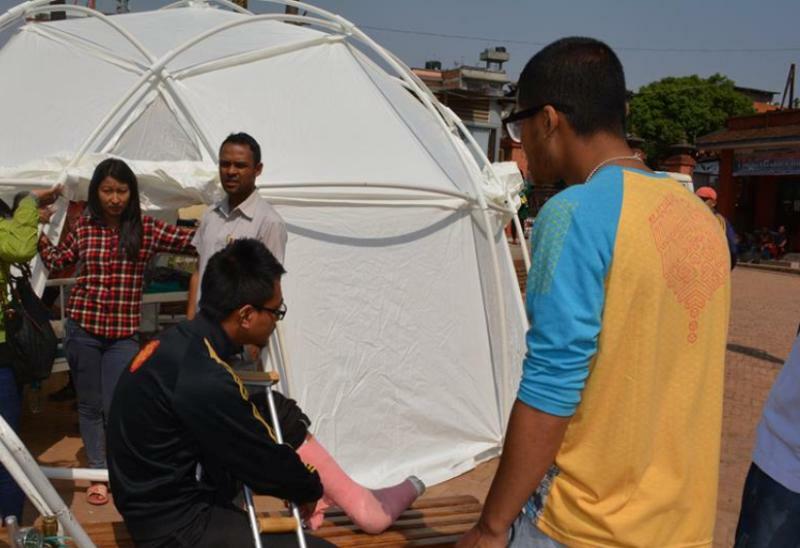 Earthquake victims received treatments in New Hope Society tents at the Bhaktapur Urban Heath Center. 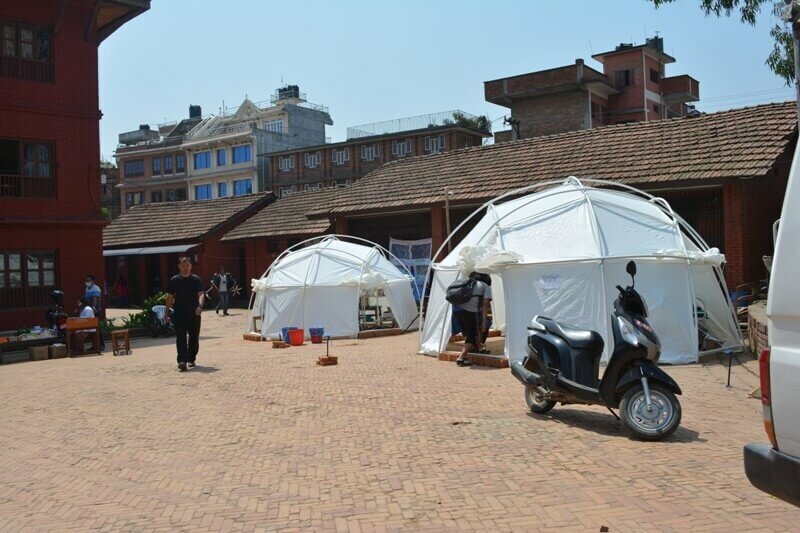 Help Remote Nepal provided a dozen 14 x 7 ft. relief tents shipped in from the U.S. to the upper Thame area in the Everest region. 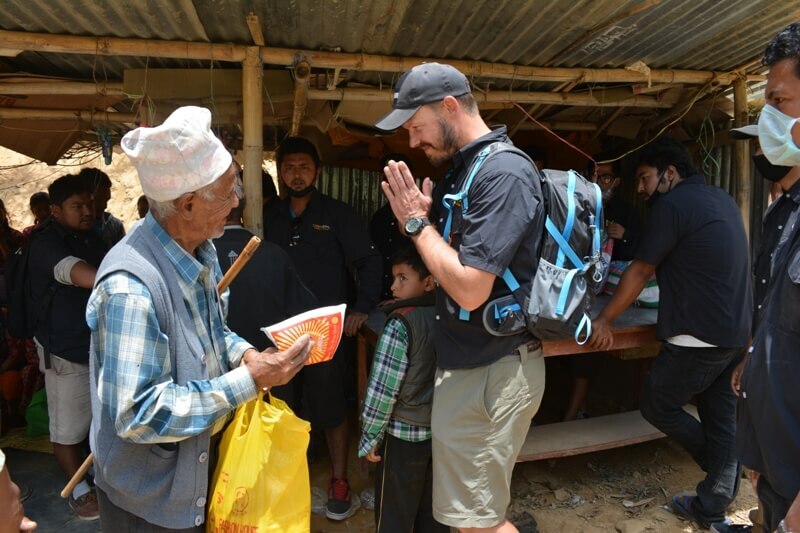 ITrekNepal guest Mr. Devin Corboy, a registered nurse from the U.S., went with iTrekNepal guide Dev Magar and his porters to assist in this village. They made the journey in just 5 days from Lukla (usually a 7 day hike) and distributed the 12 large tents and medical supplies. 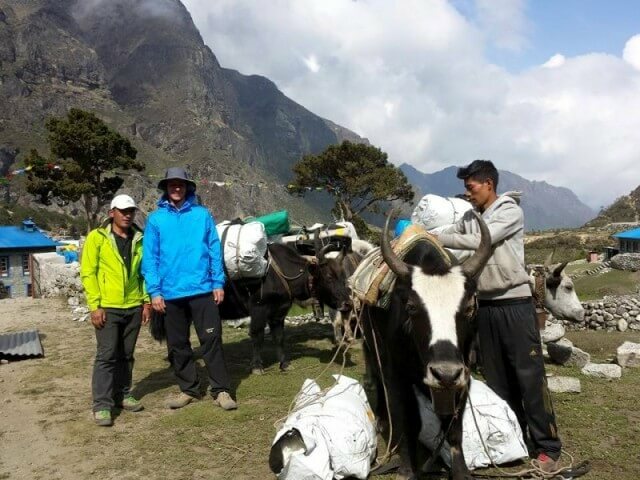 This was accomplished with just two ITrekNepal guides, Devin Corboy, four porters and seven yaks to carry all of these supplies to Thame. The majority of ITrekNepal guides are from the Solu district and most of their houses were destroyed on the 12th May 2015 during the second big earthquake. 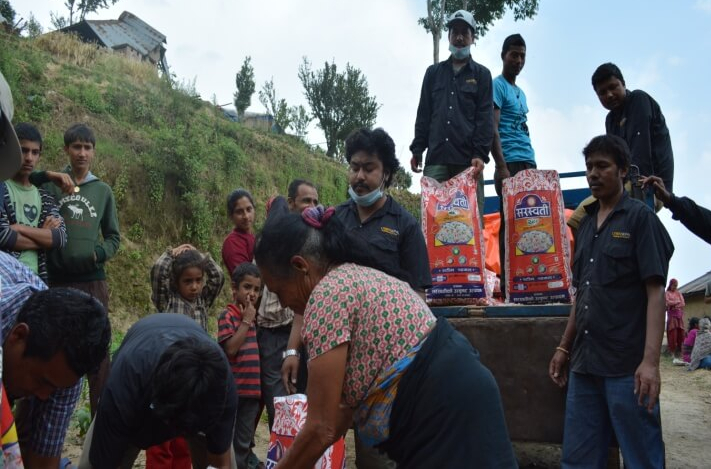 Upon their request to NHS and ITrekNepal we decided to provide them urgent earthquake relief and food supplies. 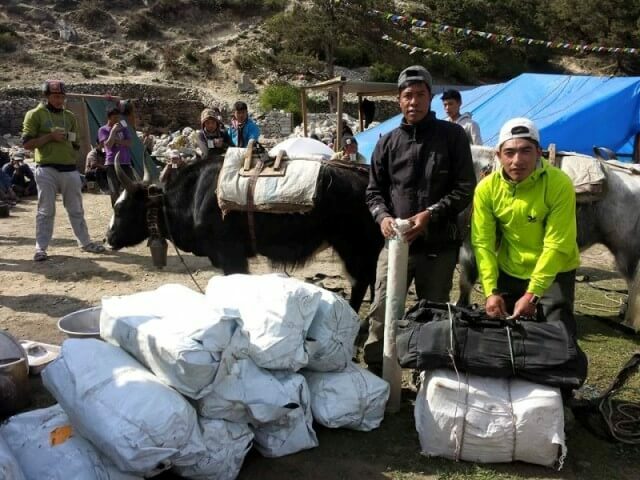 We immediately delivered supplies to nine villages in Solu where the families of our trekking guides are living. 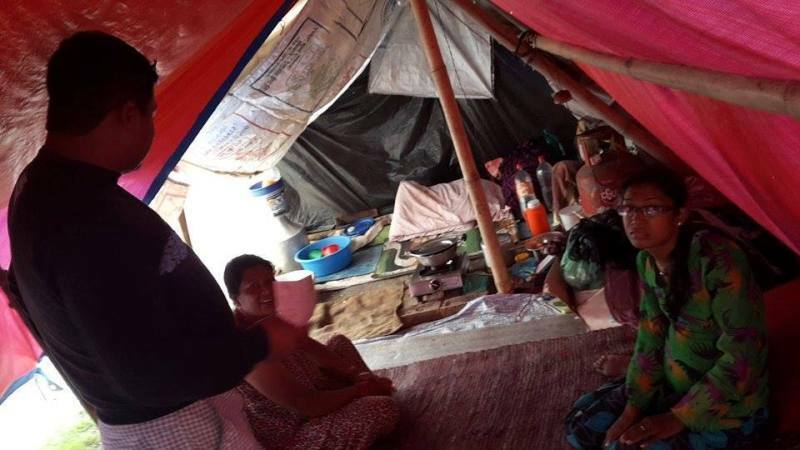 NHS also provided financial support to enable our guides and their families to purchase supplies for building temporary shelters to use until their homes are rebuilt. At this ceremony at the Bhaktapur Paradise hotel, ITrekNepal manager and New Hope Society president Shree Koju handed over cheques to ITrekNepal trekking guides and porters. 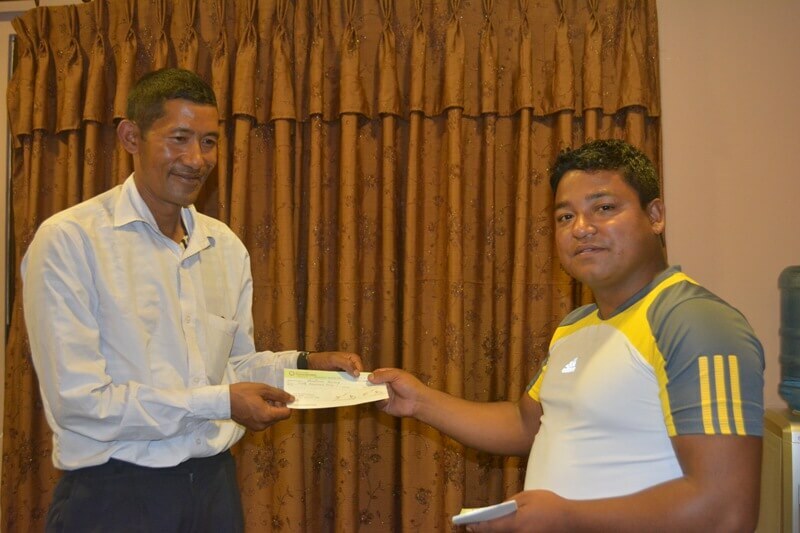 Mr. Phurtinam (“PM”) Tamang, ITrekNepal trekking guide from the Solu district, receiving a cheque from Shree Koju (NHS president). PM and other ITrekNepal guides will use these funds for building temporary shelters and rebuilding their family homes. 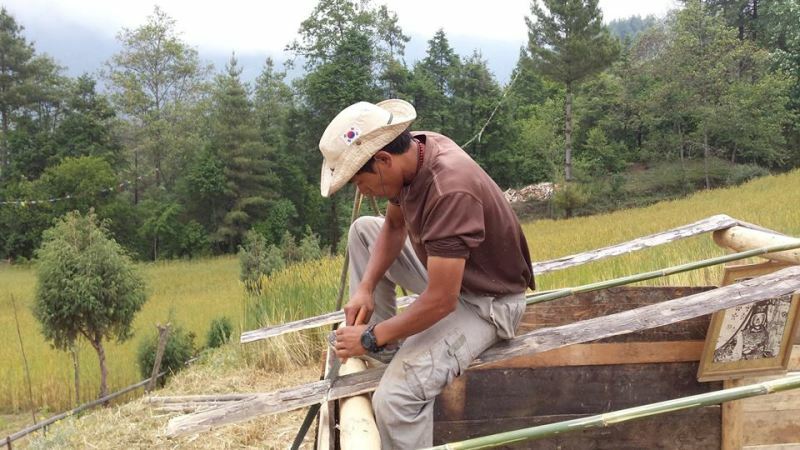 ITrekNepal guide Mr. Lama Phuri Lama working on his family’s temporary shelter in Solu. NHS provided direct financial support and medical attention to Miss Tanisha Manandhar,an earthquake victim who was also suffering from kidney failure. 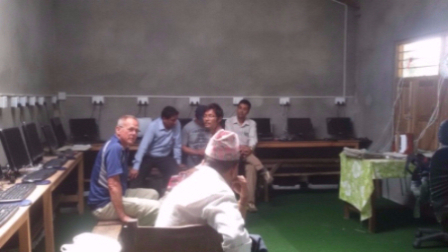 For the past four years ITrekNepal chairman Nick Clayton has been has been helping this village school where he has funded internet service and computer on behalf of NHS and the ITrekNepal team. Additional supplies were taken to Takru by NHS in June. ITrekNepal guest Ken Lynch led the team in Takru Village delivering the additional computer and internet supplies NHS provided. Student assembly at the Shree Ganesh Higher Secondary School in Takru village where NHS provided additional computer and internet supplies. 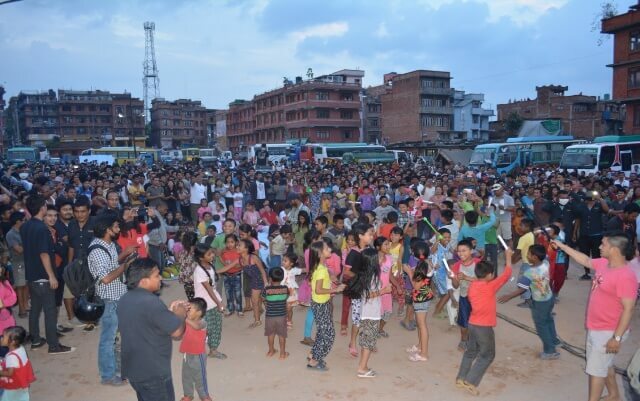 New Hope Society in collaboration with the Lions Club and Child Reach Nepal organized a musical program in Bhaktapur with the traditional Nepali band Kutumba. 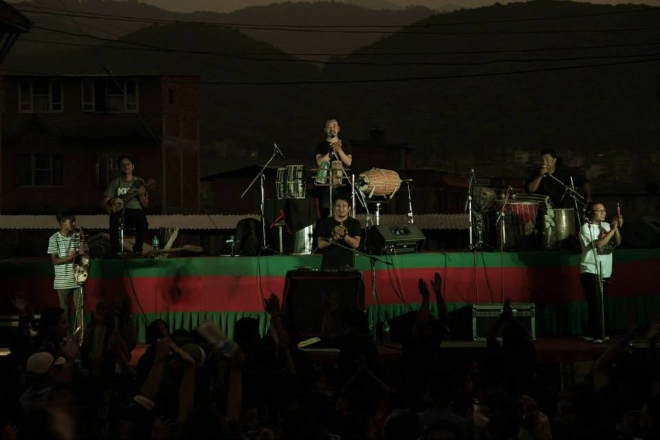 This free concert was performed to help refresh people around Bhaktapur and distract them from the earthquake effects. The New Hope Society will continue to help the people of Bhaktapur, Rasuwa, and Solu districts to rebuild their homes and lives. We now have a small office near Durbur Square in Bhaktapur where two part-time staff members manage the administration of NHS programs and finances. We will soon refocus on supporting the education of children in the villages of our guides and porters. If you would like to learn more about the mission and activities of the New Hope Society or to make a donation please visit http://thenewhopesociety.org/ or www.itreknepal.com/bhaktapur-relief. 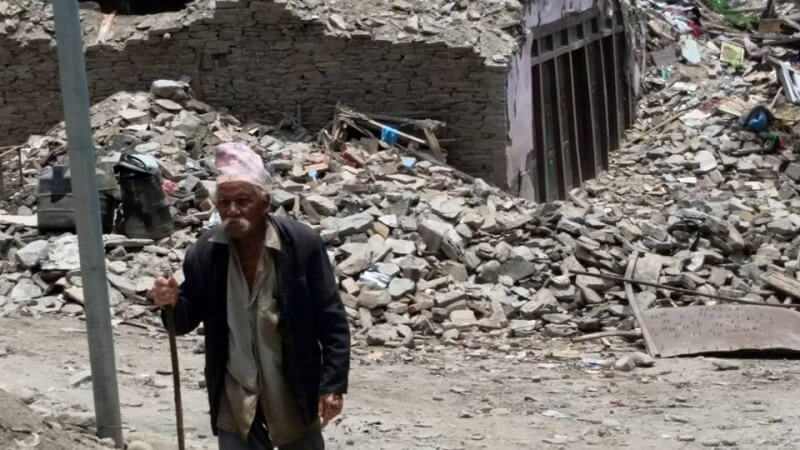 Although we have made great progress in the past three months there is much left to be done and the people of Nepal still urgently need your help. You can also contribute to the people of Nepal by traveling and trekking here. It is safe to travel and trek in most parts of the country again. To find out more about the best trekking areas that are open, visit www.itreknepal.com, or contact us directly at andrew@itreknepal.com or shree@itreknepal.com. We will contribute a portion of all trek fees to the New Hope Society and you will contribute greatly to Nepal’s recovery just by being here. We also have several treks where our guests can participate directly in the distribution of earthquake relief supplies to remote villages. Please let us know if you have questions and how you might like to contribute.